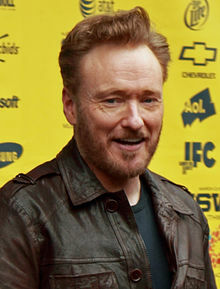 Conan Christophorus O'Brien (vulgo Conan Christopher O'Brien), natus in civitate Massachusetta die 18 Aprilis 1963, est histrio Americanus. Vicimedia Communia plura habent quae ad Conan O'Brien spectant. Novissima mutatio die 30 Maii 2013 hora 22:11 facta.